Relationships between soil invertebrate populations and primary production of a tallgrass prairie were investigated using the insecticide-nematicide carbofuran and a range of mowing intensities to manipulate invertebrate densities and resource quantity and quality. The trophic composition of nematode populations was monitored through each of two growing seasons. Earthworm and macroarthropod densities and primary production were assessed at the end of the second season. Invertebrate densities were generally reduced in carbofuran-treated plots, although individual weights of surviving macroarth-ropod herbivores increased significantly (p<0.05). 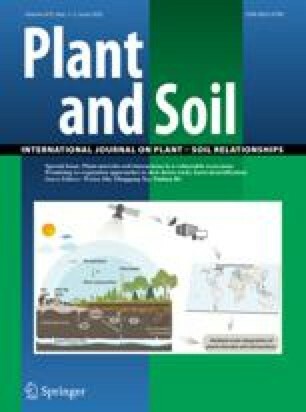 Carbofuran failed to affect estimates of above- or belowground plant biomass after two years of treatment. Changes in resource quantity and quality resulted in rapid responses by dominant invertebrate consumer populations. A 28% reduction in live root mass and a 24% increase in root detritus following two years of mowing was associated with a 54% decrease in herbivorous nematode densities, a 47% increase in microbivorous nematode densities, and a 41% increase in native earthworm biomass.